I must say that I love the Old Testament. There are just so many stories that relate to our lives. The story of Elijah and his contest with the priests of Baal is a dramatic example of the power of the Lord over all the earth. He is the supreme God, the only God (see 1 Kings 18:39). At first they didn’t see how we are like Ahab, but with some prompting we began to analyze what it was Ahab was doing. In his mind, Ahab saw Elijah as the source of the drought, the source of the bad economy in Israel, indeed Elijah was the wellspring of all his problems. 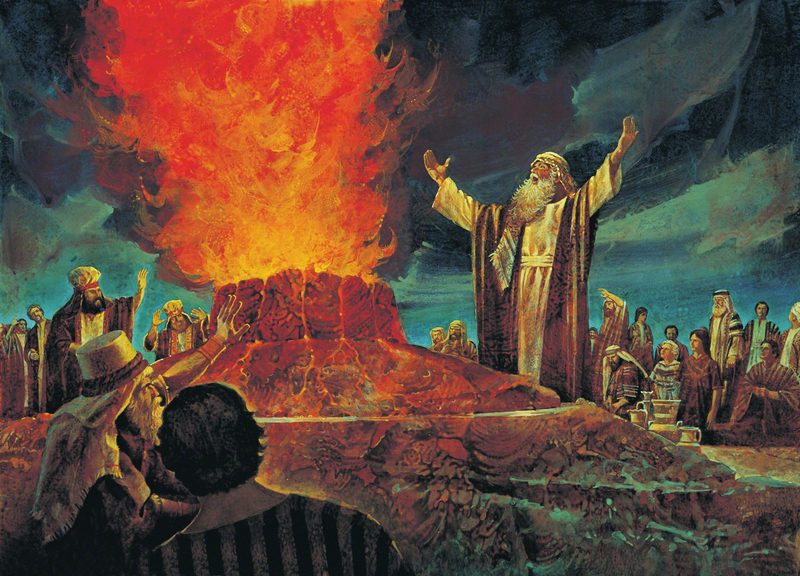 Ahab blamed Elijah because he didn’t want to take responsibility for his problems. How are we like Ahab? When have you seen someone act like this? Why don’t we like to change? When have you changed something in your life? What was it? What was the catalyst in your change? In other words, can you think of what it was that moved you to make a change in your life? Ahab must’ve been a very unhappy fellow. His unhappiness could have caused him to wake up and change things. Instead, he sought material things to assuage his spiritual pain (see 1 Kings 21:1-7). We had a wonderful discussion in class relating Ahab’s tendency to our own life situation. May we recognize signs in our lives that show us we need to change, and may we be quick to observe how and when we must do so. This entry was posted in Evidences, Friends, Happiness, Miracles, Old Testament, Principles and tagged applying the scriptures, LDS seminary, LDS youth, making choices, making decisions, Old Testament, using the scriptures to solve life's problems. Bookmark the permalink.